It’s Monday, and I’m back home in Virginia after a whirlwind week (I’ve been to San Francisco and back to teach a one-day class, Copywriting for Crafters on CreativeLive). I am still taking it all in, and I couldn’t wait to share the behind-the-scenes of my experience with all of you. This story started back in February, in the dreamiest way imaginable. I was in Charleston, South Carolina in a luxurious, oceanfront home for The Movers and Makers weekend-long retreat. It was the end of a long day: we’d wrapped day one, and both Bonnie Christine and I had presented. We’d been fond of each other’s work up until that point, but watching each other speak had made our bond even stronger. She loved my talk on the energy cycles of entrepreneurs as much as I loved the incredible story of her success. That evening, after the attendees had gone home and the house was quiet, I sat at the dining room table with a glass of wine and had an intimate + insightful conversation with Bonnie and our retreat photographer, Paige French. Bonnie’s mom, Maxie tidied up and prepared ahead in the kitchen, her presence equally soothing and lovely. Paige’s husband, John quietly played beautiful music in the background on his guitar as we spoke. The scene was surreal and full of possibilities. CreativeLive seemed to come up a lot that weekend because multiple retreat speakers had experience teaching there, and I think our weekend together in Charleston reminded them of the work. By all accounts, teaching on CreativeLive sounded amazing. I began to think I’d like to teach on the platform, but I wasn’t sure how or where to start. That night over the dinner table, I mentioned to Bonnie that I’d like to go out for CreativeLive. She lit up and reached across the table, “Yes! You should totally teach on CreativeLive! !” It was incredibly reassuring, and she was happy to make the introductions. Bonnie introduced me to Elizabeth Madariaga, manager of the craft and maker channel on CreativeLive. Once connected, I emailed Elizabeth a proposal that I had carefully crafted based on the presentation I had given at The Movers and Makers Summit. If there is one thing I regret about this entire experience, it would be that first proposal. 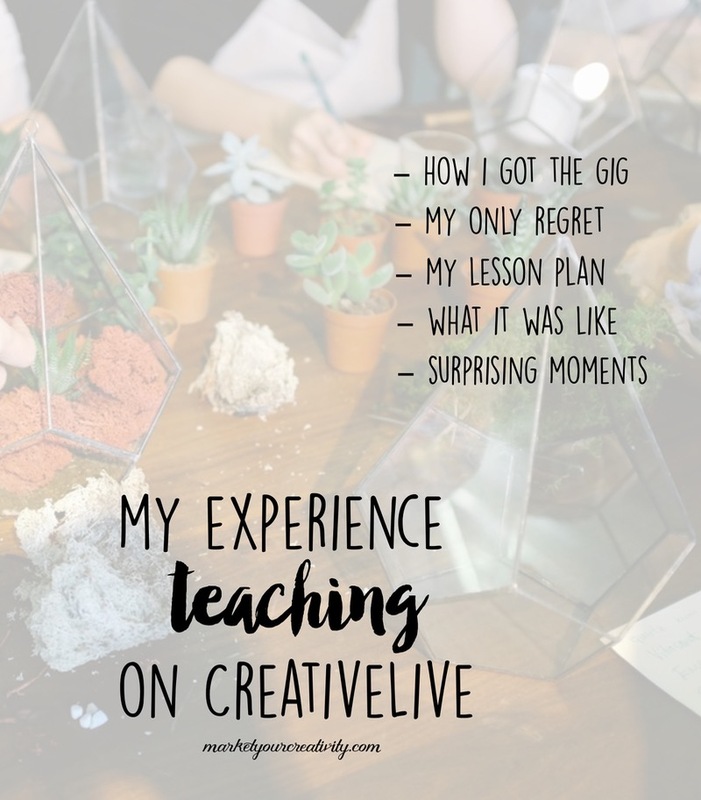 I had watched many a CreativeLive class in my time, but I just wasn’t sure how to translate my lesson plan and the way I coach/consult into their format. My first proposal didn’t make much sense as an all-day class, so Elizabeth asked me for a chat over the phone. During our call, Elizabeth gave me a better understanding of what she was looking for in an instructor and asked for another proposal. I took my time, paid more attention to how the platform works, and learned from other classes before submitting my next proposal. It made much better sense (to us both) and showcased my teaching abilities and experience. It was late spring when Elizabeth pulled a section from my proposal (the copywriting template) and asked if I’d like to expand that into a day-long class for a week-long, Improve Your Holiday Sales conference that she wanted to host in August. She explained the process to me on the call, and we were off! 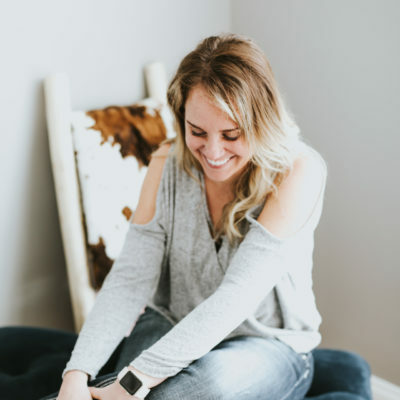 To start, you’re responsible for booking your airline ticket (which is later reimbursed by CreativeLive) and organizing your content (which is later refined by content and online producers). They literally take care of the rest! More on that in a minute. While I love me some copywriting, I am stronger suited in marketing strategy and the buying process. Since we were talking Copywriting for Crafters, I saw an opportunity to use my experience in product listings (since most crafters sell in a storefront) and combine that with the buying process while honing in on copywriting techniques and amping my experience in that arena. I was beyond grateful for the opportunity and could hardly wait to get my class underway. I am a writer. I’ve always known this about myself, but now I realize what a predominant power it is. In my original plans for class preparation, I was going to write out the entire class and then create a Keynote based on the highlights. My slide deck contains more than 400 slides (full of presenter notes) and took about 100 hours to create. I usually keep a bullet list of talking points when I speak, but for my copywriting class, I was hostage to my notes. I had organized the flow in such a way, and brought in so many points and examples that I wanted to touch, that I wasn’t going to miss a single sentence that day! I refused. By mid-August, I dreamt of my slide deck and had copywriting conversations in my sleep. The preparation was real. #CreativeLiveProblems When it comes to traveling for work, I generally don’t like to be gone more than two nights away from my family. Technically for this trip I wasn’t, but I felt lost in my head and the workload for about ten days before I left. A week out, I knew I was obsessing over the slide deck, but I couldn’t stop myself! I held onto my Keynote until I arrived in San Francisco. I used my 6-hour flight to tweak it! When Bonnie and I co-hosted the Movers & Makers retreat, I had traveled solo and I was completely spent from the experience. There was always so much to figure out and organize: how to get where you’re going, what to prepare, what times to start, what and when to eat, what everyone’s role is, etc. It was a lot, and it took me weeks to recover. That was my absolute favorite thing about teaching on CreativeLive – every last detail was cared for. I met my content producer, Justin months before the class and we had regular check-ins and updates over the phone. The people at CreativeLive, both on production and in-studio, are an absolute delight. Meeting them and having them work on my! class was a dream come true! The people at CreativeLive could not make you feel anymore comfortable or at home, but my nerves got edgier the closer we got to the live broadcast at 9AM PST. Ten minutes out, I was employing some deep breaths and loud sighs to get back to calm! Amazing makeup artist + kind soul, Eliza, steadied me back to ready. But every time I revisited her chair that day, my stomach went up in butterflies all over again! The studio itself is surprisingly calm. In fact, walking into the studio settled me to normal. There are cameras in motion for sure, but it feels very inclusive and “just us” when you’re in that room with a CreativeLive moderator (we had Kenna Klosterman for #craftweek2015) and the studio audience. The rest is a blur. Once it started, it just all sort of happened. I felt prepared and ready to unleash a wealth of information on anyone watching, so I was excited to reveal it all. Now that it’s said and done, I am extremely proud of my class material and the overall presentation. Afterwards, I was sitting in the green room spilling some tea and sipping my wine with Justin. A handmade panel was filming in the studio. When the panel wrapped, Justin said, “Here you go!” as he was pointing to the screen. The rebroadcast aired, and I saw myself on CreativeLive for the very first time. I was unexpectedly starstruck when I met Kenna Klosterman (CreativeLive moderator). I have met many respected and admired people in my professional career -I’m cool as a cucumber- but, I lost it when I met Kenna. I can’t believe I’m in the same room with you. J’adore her! I had such a great time with Kenna in class, and she invited me to have a glass of wine after we wrapped on the rooftop patio of the CreativeLive studio! #yesplease – one of many shining highlights of my day. My husband watched all day and blew my phone up text-shouting his praise. He even filled a document of copy and pasted comments from the at-home audience’s live chat (which I don’t think I get to read otherwise) so that I could feel all the love + support I received! All four of my children saw the broadcast and thought I did “awesome.” So, there you go. If you don’t know know, now you know: I’m awesome. Nobody missed me as much as our family bulldog missed me while I was away. My youngest son wanted to know why I didn’t wave when he tuned in. He told me, “You knew we were watching!” Next time I randomly start waving on-camera, you’ll know why. My youngest daughter wanted to buy the stuffed owls I sewed (final segment, fictional example of good copywriting). Friends I hadn’t heard from in years shared and supported my broadcast. One member of our studio audience took the most amazing visual notes, and her entire set of notes from the Improve Your Holiday Sales conference is ready-to-download if you purchase a class from the week. You can purchase my class, Copywriting for Crafters and get on-demand access anytime. It’s worth every penny, I promise! You can also add it to your CreativeLive wishlist to be notified of its rebroadcast or any sales and specials they have on it. Congratulations for your CreativeLive debut! So glad everything went great and that you enjoyed your experience there! Thank you, Nela! It was a lot of fun for sure! Congrats Lisa! I was fist-pumping and cheering you on from my couch all day! It was so fun to be in the live chat and see all of the “aha” moments that people were having left and right! You ARE cool as cucumber! 🙂 Congrats, Lisa, and thank you for sharing this experience with us! I sadly couldn’t tune in but I know it was nothing but amazing!! Two thumbs up!! Thank you! So sad you missed it – if you add it to your wish list on creativelive.com, they’ll notify you of any rebroadcasts. Appreciate your comment! I was able to watch some of it live, and I just had to purchase the class so I could watch what I missed. I love that your family was so supportive! 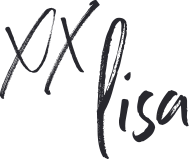 Anyways, I’m so excited because I’ve been working non-stop on totally rebranding/revamping my whole business since I watched your course (and others during the week-end, some serious good classes there!! Plus with your ebooks from Etsy) and I’ve just finished rewriting my first etsy listing !! Woohoo !!! (used it in my url if you’re curious). Thanks again a million for putting SO much work into this class, it was really worth it. I learned about the conference through your blog and was fortunate ti be able to tune in all week and WOW! it was mind-blowing. Thursday, though, blew my socks off. You were a great star among big stars. All the presenters were wonderful but your presence and content were so helpful and inspiring. Thank you! The best thing about the week-long conference was to discover you. My partner/daughter does our jewelry product copywriting, so I only thought I’d watch for 10 minutes. You pulled every piece of the marketing process together, like doing a puzzle & finding that missing piece. Never would have thought this was your 1st class at CreativeLive. I have been learning social media marketing from sm marketers and to learn from a creative is more fulfilling and relevant. Loved this background story. Thank You so much. Reading this whole story it is so amazing. You have done great job! I have just needed this part for my business. I will be watching this course many times. Looking forward to see you more often on CL. I first came to “know you” on the Creative Live broadcast. I learned so, so much from you! Gosh. That’s an understatement. I started rewriting the copy on my etsy store products. You got me to think about it in a completely different way. I’m going to be a part of the Creative Live family at the end of the month. I’ll be in the audience. It’s a LONG commitment. 5 full days in studio, and my inner introvert wants to run away in terror. But I’m going no matter what! Thank you for sharing your BTS stories and for creating such an amazing class. Great to meet you, Pattymac! I met most of our student audience on their fourth day of workshop, and I felt for them! It can be as tiring to absorb all of that information as it is to deliver it 😉 But, CreativeLive takes good care – I’m so glad to hear you’re going. I watched the live class and ended up buying it. Well done! I’ve already started putting your tips in use. I also recommended your course in my newsletter yesterday, so hopefully others will also get to benefit from your expertise. Thanks so much for sharing the behind the scenes and the logistics. I’ve been wondering what it was like, so it’s good to know that the crew at CreativeLive makes it so easy for you. Once great job and bravo! Thank you, Nicolette – and especially for emailing your list; that’s quite a compliment indeed! Yes, they make it amazingly easy, and they’re very good at what they do.